Guest post by Scott Ciccarelli, CEO, SRS Health. People perform better if they have a vested interest in the outcome of a given situation. Employees who are given an ownership stake in their company historically perform better and enjoy a higher degree of satisfaction from their respective jobs than do their non-stake-holding counterparts. 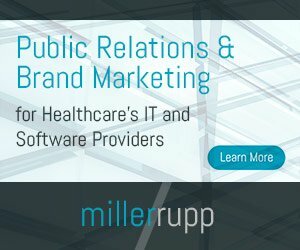 According to a 2016 New England Journal of Medicine survey of 340 U.S. healthcare executives, clinician leaders and clinicians at organizations directly involved in healthcare delivery, 42 percent of respondents indicated that less than a quarter of their patients were highly engaged, and more than 70 percent reported having less than half of their patients highly engaged. And to underscore the importance of this result, 47 percent of those surveyed revealed that low patient engagement was the biggest challenge they faced in improving patient health outcomes. This is not only true for hospitals, but also for specialty care practices. In these environments, it is imperative that practices understand the very specific needs and behavior of their patients, so they can determine how best to conduct effective outreach that will increase patient engagement and patient portal utilization. A results-driven (or high performance) patient engagement platform helps turn patients into partners in their own healthcare. In addition, a proper next-generation solution supports compliance with MIPS (Merit-based Incentive Payment System), a component of MACRA (Medicare Access and CHIP (Children’s Health Insurance Program) Reauthorization Act), and with meaningful use (MU), by providing patients the ability to view, download or share their medical record. Payback is many fold: In addition to helping providers meet regulations through a user-friendly interface, patients are freeing up time for caregivers to spend with them by self-populating data fields that would previously have been handled by caregivers. This streamlining of the patient intake process delivers significant time and cost savings to the practice. Equally important is a patient portal that helps patients remain engaged while enabling practices to comply with government requirements under meaningful use and the MACRA regulations, thereby increasing Medicare payments and minimizing takebacks. It is imperative that the patient portal seamlessly integrates with the organization’s electronic health record (EHR), health information exchange (HIE) and accountable care organization (ACO), if the practice is participating in one. Ideally, the solution should be able to adapt to any healthcare facility’s IT system—not the other way around. Patient engagement initiatives should permeate the practice’s entire healthcare ecosystem. Originally a concept born of healthcare reform, accountable care organizations (ACOs) were initially little more than a way of redefining the shared responsibility of doctors and hospital staff to coordinate care, improve quality and lower costs. It did not, however, specifically examine the role of the patient. That all changed when the Affordable Care Act (ACA) came along and the ACOs were officially codified into law. Furthermore, the law also recognized that ACOs could not succeed without patient engagement. According to the IHI, “quality,” in this case, is defined from the perspective of an individual member of a given population, hence the logical focus on patient-centric care and patient engagement. The resulting increased focus on value-based contracts puts healthcare providers at risk for the total cost and quality of care provided, regardless of when and where the care occurred. This change in payment has highlighted significant holes in IT and data strategies that need to be addressed if an organization is to achieve success in this new payment paradigm. And at the top of that list of improvements that need to be made is patient engagement. As we move from volume- to value-based reimbursement, it is critical to understand how to best utilize the tools and solutions available to us to get patients actively engaged in their healthcare. Ultimately, by achieving this goal, we will be creating better outcomes, both for patients and for the practices that care for them.